The Healthy for The Holidays event was free and open to the community. Everyone who attended the event received a free gift and a chance to win an abundance of prizes. Nearly 100 people were fed meals provided by Olive Garden and NaNa’s 2 (a flourishing local bakery and restaurant). Beverages were provided by Walgreens. 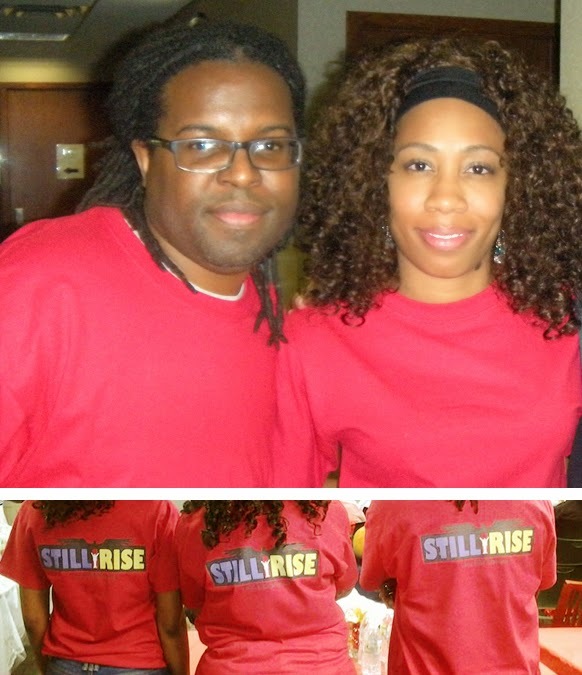 A “Healthy for the Holidays” magazine published by Still I Rise was issued to everyone who attended the event, which included featured health related articles, as well as advertisement placements from sponsors and supporters of local businesses. There were also great speakers who shared powerful information to empower the community regarding health, such as, Loyola graduate Dr. Rodney Alford, Larry Williams, the Executive Director of the Kankakee County Convention & Visitors Bureau, Marlowe Whitlow, a network marketer of Body By Vi, as well as licensed fineness trainers Joseph and Tina Begley, and local community activist Roderic Hodge who hosted the event. Still I Rise is a dynamic and innovative leadership development organization that empowers youth and young adults to create a positive and healthy change in society. This innovative organization provides stimulating programs, seminars and engagements, also educating the citizens in the areas of art, ethics, life skills and entrepreneurship. It also gives the public the tools they need and a voice to make a positive difference in the global environment. “Without the help of the community which includes our volunteers, attendees, sponsors, supporters and board members, this event wouldn’t have come to reality. We would like to thank everyone who supported this heart-warming event,” says Eldridge. Sponsors include Walgreens, Riverside Medical Center, Olive Garden, Applebee’s, McDonald’s, Mancino’s, Jimmy John’s, Kankakee Convention and Visitor’s Bureau, Kankakee Natural Foods, Kankakee Community College, JR’s Chicken, Ultra Foods, Impact Fitness, Luconi’s, Kankakee Valley Park District, Riverview Grocery, Coyote Canyon, and Poor Boys. Still I Rise anticipates having its second “Stop the Violence” event in the month of May (2015), looking to educate and inform the youth about safety and counteracting violence. Join Still I Rise for their 2nd Annual Healthy for the Holidays event next year to have a great time with the community. To contact Still I Rise or to donate to the organization please call (815) 414-9614, visit www.Still-IRise.org or send an email to info@Still-iRise.org.